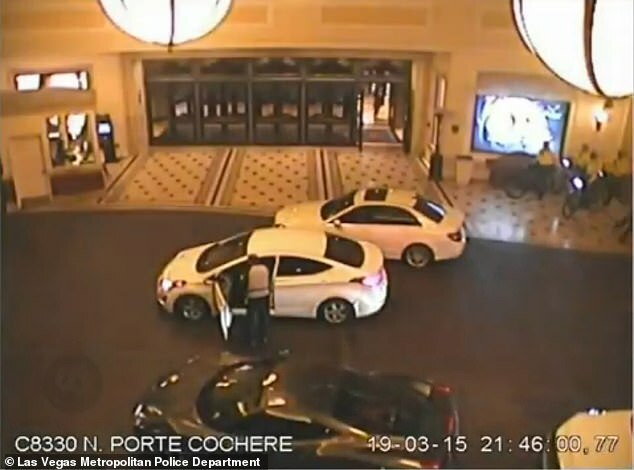 Michael Charles Cohen, 49, is seen leaving the Las Vegas hotel and casino and accosting a woman driving a black Mercedes just before the shootout took place around 9.45pm. 'This could have been very tragic for our officers, as well as citizens within our community, or that lady who was in that car,' Charles Hank, Assistant Sheriff, explained in a press conference. 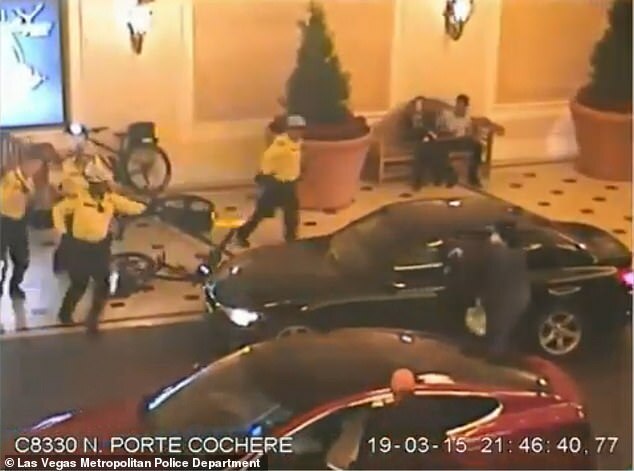 Police believe Cohen is also responsible for the Bellagio robbery in 2017. 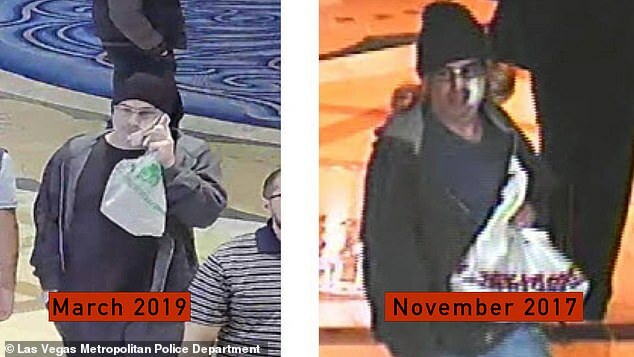 Both disguises consisted of a black beanie, jacket and glasses. 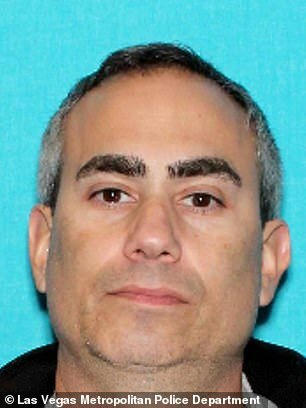 Cohen is a felon, having been convicted of two counts of bank robbery in 1999 and two more counts in 2008. He had been previously arrested for bank robbery, kidnapping, carjacking, possession of narcotics paraphernalia, possession of stolen property and a plethora of traffic charges. 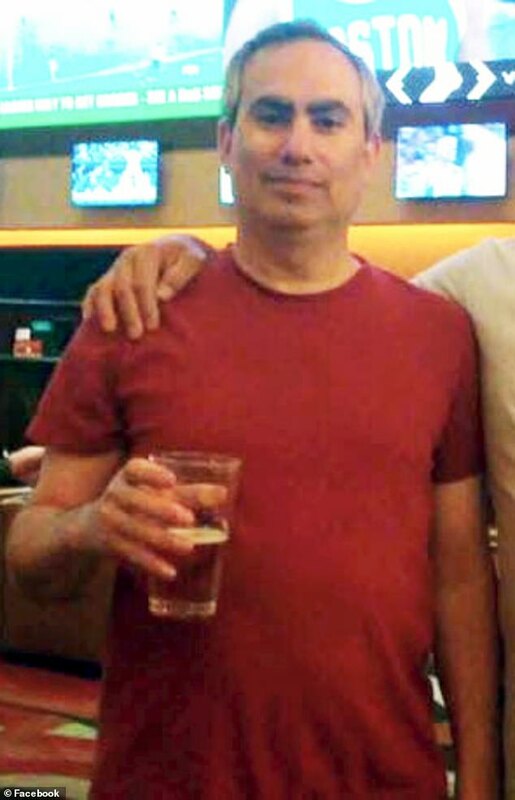 Police described him as being 5'7" and 185lbs. Cohen had walked into the Vegas casino on Friday and robbed the poker cage at gunpoint. 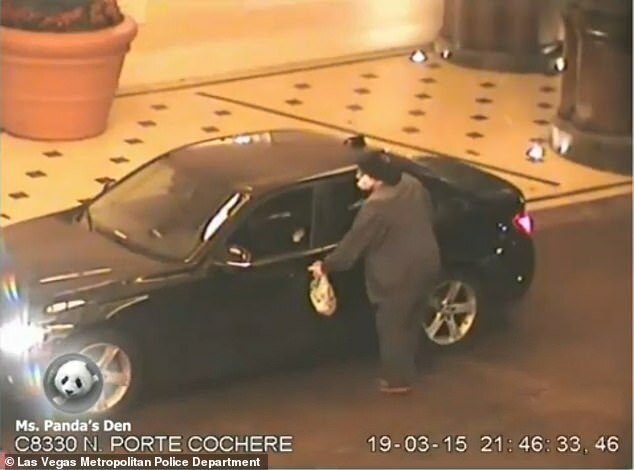 He then fled out of the north entrance with cash and casino chips. 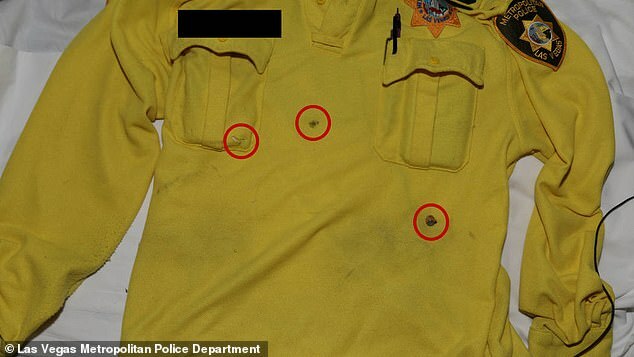 'The officer had his bulletproof vest on, which probably saved his life,' Capt. 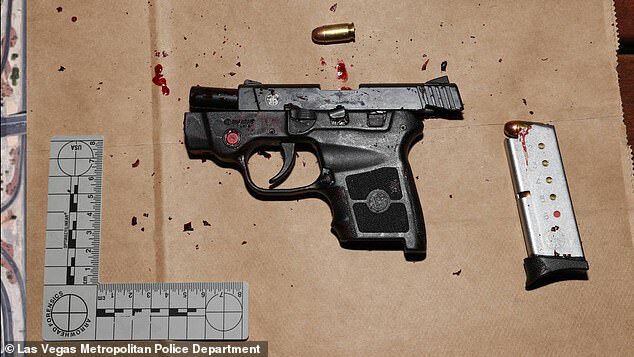 Nichole Splinter of the Las Vegas Metropolitan Police Department said during a briefing. The suspect's death was confirmed by a police spokesman, Officer Aden OcampoGomez, at around 3am Saturday. 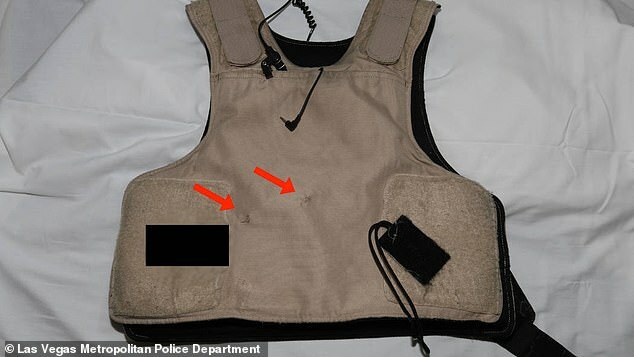 The officer who was hit in the vest was treated and released. 'No one noticed,' Badecker responds to the Las Vegas uniformed cop trying to take statements from his table. 'Going to be a long night at #Bellagio. 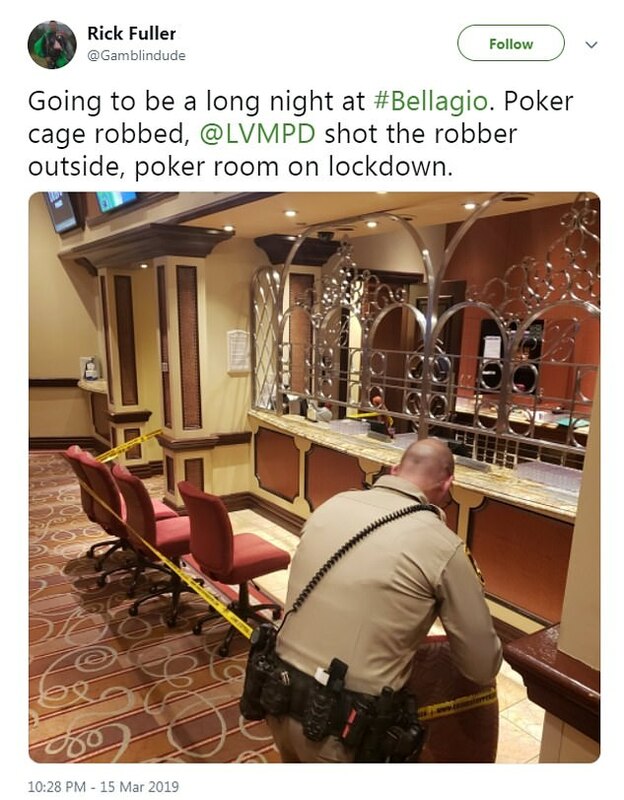 Poker cage robbed, @LVMPD shot the robber outside, poker room on lockdown,' user Rick Fuller tweeted with a photo of police tape surrounding the poker room cage and a Las Vegas police officer standing by.